The Kids Ecology Corps Mission: To inspire young people and their families to make environmental action part of their everyday lives! Daisy Miller and Leonard Solomon founded Kids Ecology Corps in 1998 based on the belief that educating children about their environment was key to saving the planet. Daisy and Leonard along with other environmental mavericks of their day launched the Green Movement in South Florida. Planting native trees, clearing non-native species, establishing and rebuilding coastal mangrove sites, building and maintaining nature trails and an amazing Butterfly Garden in Fort Lauderdale’s Living Laboratory Snyder Park, Home Office to Kids Ecology Corps. These activities are reinforced with exciting educational programs and engaging hands-on community service projects for kids and their families. 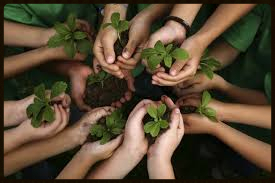 Together they learn about the environment, nature and the interconnectedness of all living things. Visitors tell us it’s the best public Butterfly Garden in Broward County! Our free to the public, popular, lush and tranquil urban Butterfly Garden created in partnership with The City of Fort Lauderdale 2013 is located just minutes from the Airport. Our mission was to create a home for the endangered Monarch Butterfly, the exotic Zebra Longing Butterfly, the Yellow Sulfur, the Atala and other Florida butterflies such as the White Peacock, Giant Swallowtail, Atala, Julia, Cassius Blue, Gulf Fritillary, Queen and Cloudless Sulphur. The Butterfly Garden is a habitat for people too. Picnic tables and benches in shaded areas make it easy to relax and enjoy watching the dancing butterflies. Come early in the morning and you’ll likely to see countless butterflies resting on their host plants that provide them a place to lay their eggs and feast on flowering nectar plants that provide the food to insure their survival! 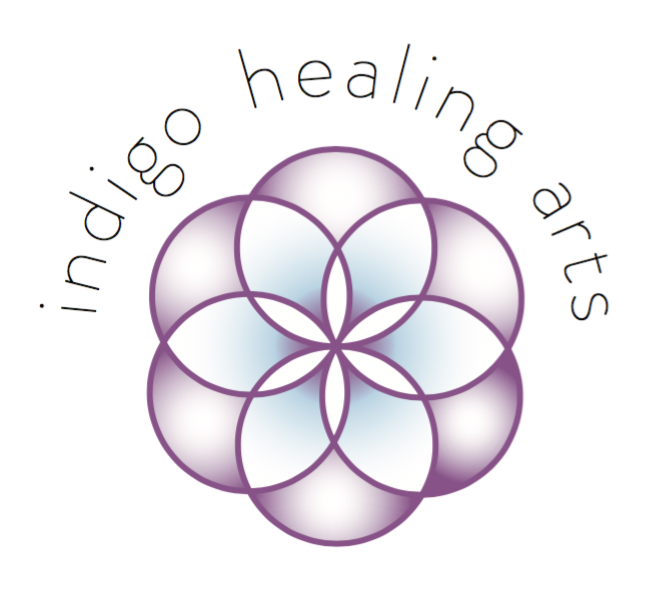 Another Indigo Healing Arts Event! We invite your family to take part in our sustainable living through the arts programs at Snyder Park. We focus on collective development, sustainability, creative self-expression & arts education. Join us for a sensory tour of a showcase editable food garden! ⬥ A musical tour of the Kids Ecology Corps Edible food garden! 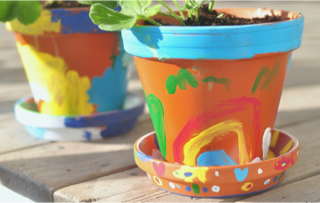 ⬥ Paint your very own clay planter to take home! ⬥ Plant edible seedings in your planter, we’ll show you how! ⬥ Learn how to care for seedings at home! and long sleeved shirts and closed toed shoes. the rest of the day in the Park. Amazing Kids, Amazing Planet! A Lifestyle Adventure! Email kec@kidsecologycorps.org for additional information. For families with kids of all ages! of painting and making music in nature! ⬥ Have a musical walk through the nature trails! ⬥ Get your very own kazoo to keep! ⬥ Learn about various trees, shrubs and plants along the trail! ⬥ Paint posts for a walking trail in Snyder Park! Help restore the Nursery and get it ready for an exciting new program, “Amazing Kids, Amazing Planet,” a lifestyle adventure. KIDS ECOLOGY CORPS, in collaboration with HEAL THE PLANET, are two non profit organizations, each in their own way inspired to promote Healthy Living and a Sustainable Planet! The trails need a little TLC. Those Air Potato vines are back with a vengeance! We need help clearing the vines and pulling out the roots. If you’d like an easier job, help stake trail posts or do some mulching. You’ll be in the shade and have lots of trails to cover. Disc Golf is quickly becoming a great new outdoor sport. Check it out! Advisable to wear comfortable shoes, long pants and long sleeved shirt. Bring sun screen, bug spray, water or water container. All ages welcome with a parent. Kids 15 years and older without a parent. Contact KEC about these Fort Lauderdale Make a Difference Day volunteer opportunities at Snyder Park. There are 49 other Fort Lauderdale Make a Difference Day Volunteers Opportunities available! A sanctioned partner – the 31st annual Ocean Conservancy International Coastal Cleanup! Fort Lauderdale Beach Sweep Team! plastics and recyclables and more than 100 pounds of cigarette butts equaling 75,000 cigarettes! Thank you Beach Sweep volunteers! Heal The Earth, Naked Feet 5K Team, Orchard Supply Hardware and The Gap. Contact joanstarr@kidsecologycorps.org for more information. Register Early for this one of kind special beach event! As a premier partner charity organization, Kids Ecology Corps will receive a generous donation from the proceeds of the event. For more event information, call Coach Sandy at 402.218.6966. KEC in collaboration with Indigo Healing Arts presents Indigo Kids Experience. A magical experience in the Snyder Park Butterfly Garden! Broward College awarded $190,000 to 42 community groups for the 2nd Annual Broward College MLK Day of Service. These service awards helped nonprofits and community organizations create impactful projects in the community and honored Dr. King’s legacy of non-violent activism, racial equality, service to others and social uplift. In the spirit of honoring the life and work of Dr. Martin Luther King, Jr., under the direction of Eco Artist Susie Q Wood, using the plastic found on the beach, 83 volunteers came together to create “Sea Life Matters”, the collaborative art work you see below. Susie will have an exhibition of her Eco Art in April at Fort Lauderdale City Hall. 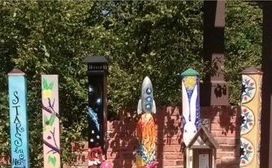 Be sure to stop by to see the artwork Kids Ecology Corps volunteers created – Joan Starr, CEO Kids Ecology Corps. Click on the image below to enlarge picture. LEARN HOW TO GROW YOUR OWN FOOD AT HOME! Master Gardener Linda Shneyer will show you how! Enjoy family time outdoors in nature. interconnectedness of all living things. raised beds and in special grow bags too! Families learn how to start a small garden to grow food at home. It is not hard to do! Plant seeds and seedlings. Then watch them grow! Learn the benefits of growing your own organic food and why it helps the environment. Our everyday food choices matter, and you will find out why! As part of a working partnership with the Florida Department of Environmental Protection, Southeast Florida Coral Reef Initiative (DEP SEFCRI) KEC is launching an extensive and in-depth educational all day teachers training workshop on June 27th, 2015 in Fort Lauderdale to support Broward County elementary school educators in creating great lesson plans for their students. A variety of SEFCRI selected reference books, dvd’s and lesson plans along with coral reef replicas for hands on demonstration purposes will be used throughout the workshop. Those materials are similarly contained in a SEFCRI traveling educational trunk available to Public School teachers upon request at the workshop. KEC is fortunate to have expert presenters. Lou Fisher, retired Broward County Marine Biologist with 35 years experience in diving and conducting coral reef research, Lindsey Nieratka, M.S. with degrees in biology, anthropology, and environmental studies with over 5 years of environmental education experience. Morgan Romero, American Heritage School intern and Master Research Diver assists. from South Fort Lauderdale Beaches in a total of four hours. Pretty amazing! April 1st, April 8th, April 15th and April 22nd, Earth Day. Home Schoolers Build a Butterfly attracting Herb Spiral Garden. Dixie Lee Hedrington’s, FRIENDS AND STARS, home school parents and kids participate in a four-part program working with Master Environmental Educator Rachel Bissonette to build the first of many gardens in the park. Together they learn about nature and the interconnectedness of all living things. Trash To Treasure Executive Director Nanette Saylor joined Kids Ecology Corps Board of Director members Sally Oken, Liz Shapiro and CEO Joan Starr for an intense, working as fast as we could, exciting morning. Jo Moskowitz joined in the fun and got big hugs. KID POWER! How Does it Work? How Tall is Your Favorite Tree?